Are you a lady boss looking to up your business game? Do you know that you have a fabulous product or service, but it's not getting the traction it deserves? 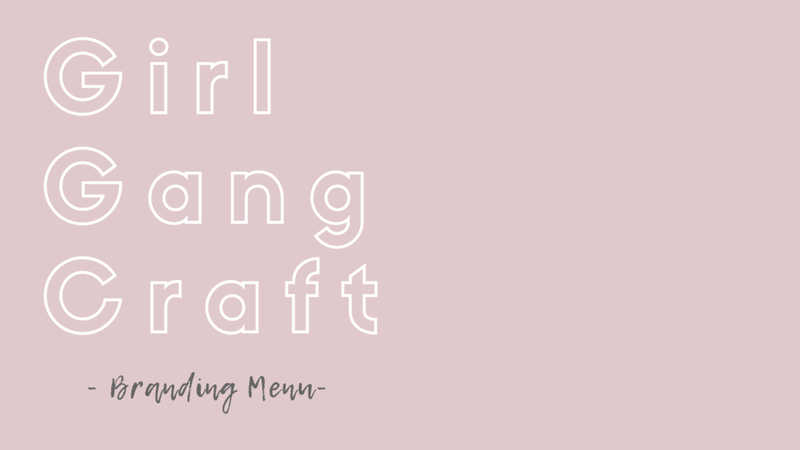 Girl Gang Craft is here to help. We at Girl Gang Craft are all about elevating your business. Let's make your website/instagram/facebook as fantastic as you are. Are you in? You have a couple routes to choose from, are you a Do it Yourself kinda girl? We get it! We like to get our hands dirty as well! So we can guide you to put your best foot forward! Where should you start? We suggest checking out our Blog! There are lots of tips and tricks up there that can get the process started. Already read the posts? Want something more interactive? Then it's time to sign up for a workshop, like our branding workshop coming up in 2019. You can also set up an individual consult with Phoebe Sherman to discuss the ins and outs of your business and where you want to go! Fill in the form below to get rolling! Are you crazy busy? Do you need someone else to do the boring computer stuff for you? We are here to help! See below for our website Menu options. And fill in the form at the bottom of the page to start discussing your future! I'm ready to work with GGC! Sign me up for a free consult!